A peaceful Tyrolean oasis in the Paznaun Valley in the stunning Silvretta mountains, Ischgl came under the world’s spotlight in 2002 when Bill Clinton delivered his ‘Message from the Mountains’ speech here. Although well-known for being lively during the ski season, the atmosphere in Ischgl changes completely in the summer months where you can relax in a peaceful, low-key village which hosts a weekly brass band concert and Tyrolean evening. A great summer base for Alpine and Nordic walkers, it has access to extensive rugged trails, marvellous scenery and mighty peaks almost 3,000m high. The Silvretta Card, FREE to all Inghams guests, provides free use of the lifts and buses and is your entry ticket to the many leisure activities in Ischgl and the surrounding villages making it a great value way to explore this beautiful area. From the middle to the end of September is when the villages in the Tyrol celebrate the annual ‘Almabtrieb’. The festival celebrates the end of the summer when the cows are led down the mountain to their stables for the winter. Cowbells echo through the valley as hundreds of cows pass by, all highly decorated in traditional costume. You’ll be welcome to join in the festivities! This lovely traditional hotel has been a favourite with Inghams guests for many years and the charming Jäger family provide a very warm welcome. Located at the eastern end of the village, the Ischglerhof offers cosy rooms, stylish décor and excellent cuisine. It is conveniently located in the village centre just a few minutes’ walk from the Silvretta cable car which gives easy access to a range of walking trails and connects up with several other lifts. 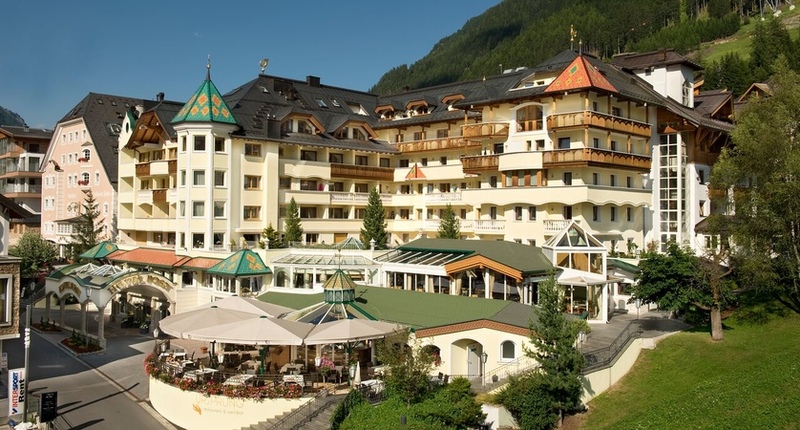 As one of Ischgl's leading hotels, the Hotel Post strives to offer the best in facilities and service. During the summer of 2018 areas of the hotel were renovated to high standards including the restaurant, spa and wellness area including the addition of a new outdoor swimming pool. You will be given a free resort card entitling you all sorts of freebies including use of a huge network of lifts and buses to transport you to far flung mountain points. The area has over 300 km of marked walking trails with varied terrain and easy access to the rugged peaks and magnificent scenery of the three mountains in this area as well as dramatic walks over to Switzerland. It is a great area for mountain biking too with 1,000 km of marked trails, plus the Ischgl Trailground riding technique park. Fishing and rafting are among the many other activities available. 20-40% discounts on entrance to tennis courts, high rope course, etc. Join your Rep and other Inghams guests for an afternoon valley walk from Galtür through the gorge and riverside to Ischgl, stopping at Mathon Wildpark for lunch - from €5 (pay locally). Ischgl is a real high alpine hiker’s paradise with over 300km of marked trails and easy access to the rugged peaks and magnificent scenery of the 3 mountains in this area; the Verwall, Silvretta and the Samnaun group. Terrain varies from step ascents up the Verwall range, to long trails through wide valleys to the mighty Silvretta peaks and glaciers up to 3,000m, and dramatic walks over to Samnaun in Switzerland. It is a pristine and unspoilt mountain environment where you can expect to see Eagles, marmots and ibex en route, along with spectacular alpine vistas. Getting around | The excellent cable-car and chairlift network throughout the region make it possible to access the furthest most pristine and highest points of the valley before turning home. All lifts and buses are FREE with the resort card. For Summer 2019, lifts open on approx 24 June 2019. Starting in Galtür this gentle walk ascends slowly, stopping at the Zeinisjoch mountain alm with wonderful views along the way to Lake Wiegensee. Take a day’s hike through the beautiful Fimbatal valley up to the Heidelberger Hut for award winning cuisine. The trail starts from the church in Ischgl, through one of most beautiful and pristine areas of the Paznaun with ample chance to view rare Alpine flora. NB. Days and routes may vary from those shown. Tourist Office Walks | Ischgl tourist office also runs a programme of FREE guided walks with qualified mountain guides in Ischgl, Galtür, Kappel and See. Nordic Walking | A popular Nordic Walking area there is an excellent range of trails and instruction, and guests receive a days free Nordic walking pole hire with the resort card.